Minimum quantity for "NEHRP Seismic Design Technical Brief No. 1: Seismic Design of Reinforced Concrete Special Moment Frames, A Guide for Practicing Engineers" is 1. Minimum quantity for "Improvements to BIM Structural Software Interoperability" is 1. Minimum quantity for "Soil-Structure Interaction for Building Structures" is 1. 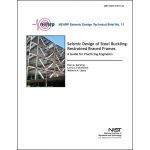 Minimum quantity for "NEHRP Seismic Design Technical Brief No. 10: Seismic Design of Wood Light-Frame Structural Diaphragm Systems, A Guide for Practicing Engineers" is 1. 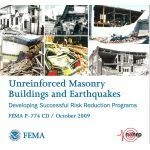 Minimum quantity for "Unreinforced Masonry Buildings and Earthquakes, Developing Successful Risk Reduction Programs" is 1. This report presents documentation of reinforced concrete wall failure modes and observed damage following the 2010 Maule, Chile earthquake and recommendations from studies evaluating critical issues in the design of reinforced concrete walls. Minimum quantity for "Recommendations for Seismic Design of Reinforced Concrete Wall Buildings Based on Studies of the 2010 Maule, Chile Earthquake" is 1. Minimum quantity for "Proceedings of FEMA-Sponsored Workshop on Communicating Earthquake Risk" is 1. 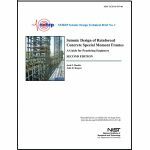 Minimum quantity for "NEHRP Seismic Design Technical Brief No. 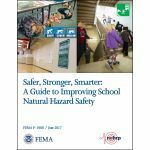 11: Seismic Design of Steel Buckling-Restrained Brace Frames, A Guide for Practicing Engineers" is 1. Minimum quantity for "NEHRP Seismic Design Technical Brief No. 2: Seismic Design of Steel Special Moment Frames: A Guide for Practicing Engineers, Second Edition" is 1. Minimum quantity for "NEHRP Seismic Design Technical Brief No. 1: Seismic Design of Reinforced Concrete Special Moment Frames, A Guide for Practicing Engineers, Second Edition" is 1. 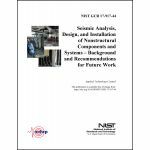 Minimum quantity for "Seismic Analysis, Design, and Installation of Nonstructural Components and Systems – Background and Recommendations for Future Work" is 1.